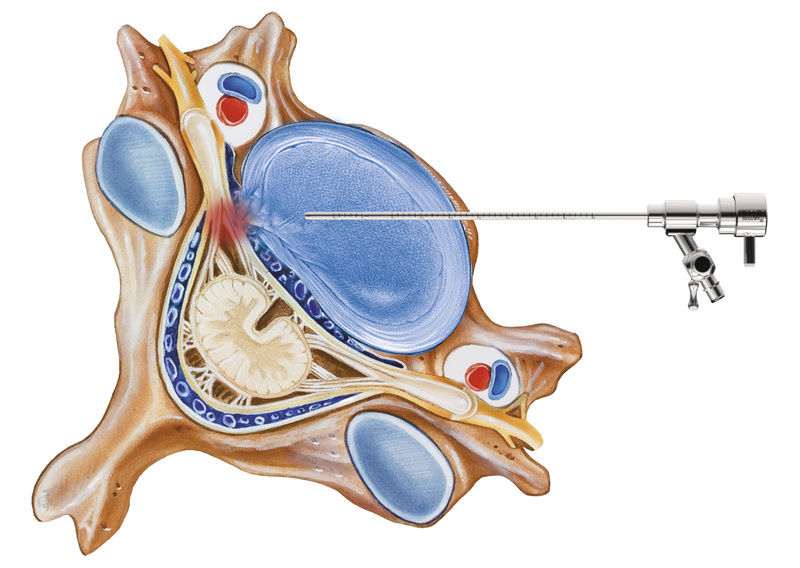 Access is ventral using a cervical surgical system. The instruments are inserted according to indication and the location of the pathology (invertebral disc protusion or annular fissure). Access can be by gradual dilation (recommended under local anesthesia) or direct with the nucleoscope shaft (working diameter 2.8 mm). 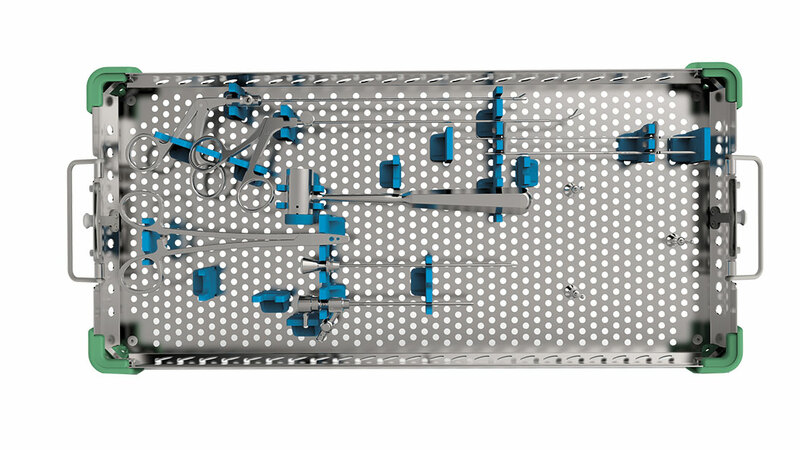 Brackets for the optionally available cervical nucleoscope and for the Legato®handle are already included in the tray. A protusion can either be mechanically removed with forceps through the access endoscope shaft, or the protruded nucleus is shrunk with the Legato® RF probe*. The dorsal and dorso-lateral annular fissures can be treated using the bipolar Legato® RF probe tip. The access palpation is performed between index finger and middle finger.